A fire in a plan that was about to take off in Las Vegas a few years ago, has been an example of good evacuation and it has shown to the world that fireproofed materials play an important role in delaying the development of a fire, giving to people time to evacuate. 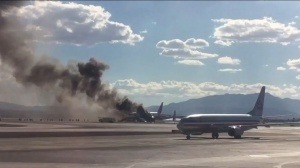 The plane, going to London, was on the runway when one of the engines caught fire. 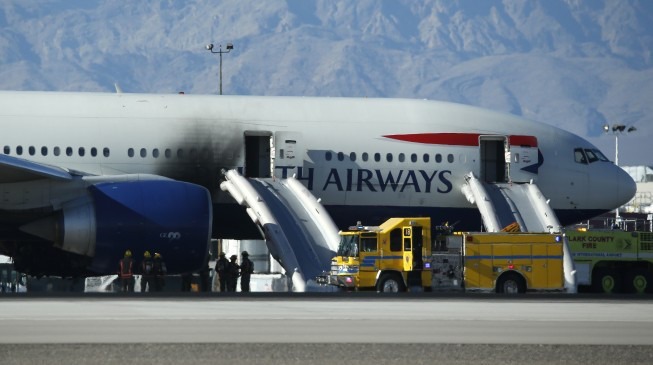 The staff of British Airways acted quickly, as soon as the fire was detected on one side, activating the emergency protocol and the evacuation of passengers. Passengers fled the track quickly through the emergency ramp in just 6 minutes. Firefighters then extinguished the aircraft in a few minutes. The fire occurred under the wing.